The magnetism a man feels when he sees a woman’s body, that sensual urge, the surge of adrenaline, dopamine, and endorphins, isn’t only given for a man’s gratification, but to be channeled by a man to love his wife. 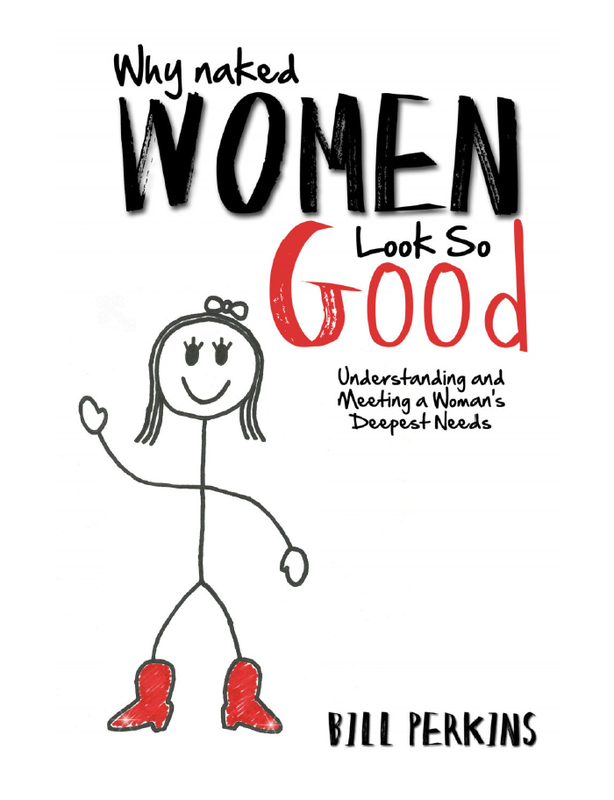 In this ground-breaking book, I identify eight reasons why men are attracted to a woman’s beauty. But I go much further. Each answer to the question, why do naked women look so good, also reveals a woman’s fundamental need and helps a man know how to meet that need. By identifying eight vital needs of a woman, and showing a husband how to meet them, I provide guidance to help a man become irresistible to his wife and for living more creatively and sensitively. Chapters are organized into three parts for easy reference. The first part provides one reason why naked women look so good. The second part identifies what need this reveals in a man’s wife. And in the third part, simple steps are provided to help a man love his wife in a way that strengthens her self-image, builds her confidence and allows her to more freely give herself to her husband—both emotionally and sexually. If you’re someone who wants to experience the life of Christ in a refreshing way, you’ll love this book. But it’s not a book to be read and placed on a shelf. I would encourage you to read it quickly-in a week or two-and then go back through it one week at a time with a friend, family member or small group. Each week you’ll follow Jesus into a different situation-like Gethsemane where he faced his fears-and you’ll discover what he felt, thought, said and did. The following week when you face a similar situation-like fear-you’ll ask yourself what am I feeling, thinking, saying and doing. You’ll then ask God to bring your life into alignment with Christ’s. At the end of each week you’ll determine whether or not following Jesus closely resulted in a more abundant life. My book, 6 Rules Every Man Must Break, has a chapter entitled, “The Rule of Restraint . 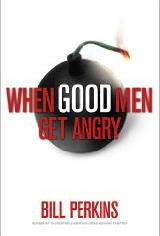 . . Never Lose Your Cool.” As I traveled the country addressing the subject of anger I discovered there are a lot of men who need a resource to help them process and express their anger in a healthy way. That realization prompted me to write this book. Like When Good Men are Tempted it’s based on the idea that as followers of Christ we’re new and good men because of our identity in him. The purpose of the book is to provide men with the insight needed to process and express their anger as Jesus would. With that in mind I read every book I could find on anger. I then identified the six key anger issues and provide the reader with an understanding of each of them. By using real life counseling/coaching sessions I provide the practical insight needed to understand the source of anger and how to successfully deal with it. While it’s a short book, every word is important and I think the reader will glean life-changing insights. It’s important to remember that Jesus was killed for breaking man-made rules, not for keeping them. Yes, he perfectly expressed in his life the moral values of his heavenly Father. But he stood toe-to-toe with the religious hypocrites who tried to force him into their mold. The battle he fought is still being waged and if we’re going to follow Jesus, we must be willing to break the same rules he broke. 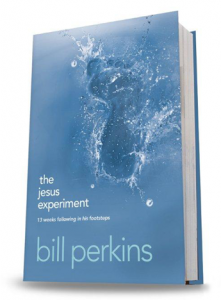 Of the twenty or so books I’ve written or collaborated on, this is my second favorite, just behind the Jesus experiment. Within its pages I draw a distinction between living a life of grace and living a life of religious legalism. Because I’ve suffered greatly at the hands of well-intentioned but legalistic Christians, I felt compelled to challenge the reader to stop allowing religious bullies to tell him how to live a godly life. I think chapter three about abiding in Christ, and chapter four about finding value in God are two of the best I’ve written. I love the liberating message of this book. This is a book that every publisher turned down when I initially submitted it. Two years later, Tyndale bought the book and it’s done well enough that Tyndale gave me contract for three more books. 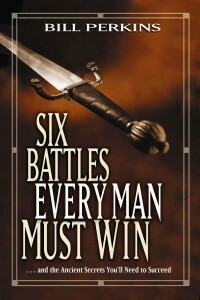 Based on the story of David’s Might Men this book challenges men to break free of spiritual passivity and fight and win the same six battles David’s mighty warriors fought and won. I got the idea for the book while depressed and reading the story of David’s Mighty Men in 2 Samuel 23. As I read the story it was as if God tapped me on the shoulder and told me I needed to challenge men to draw a line in the sand and start fighting for what’s important. That encounter with God prompted me to launch Million Mighty Men and speak at Six Battles seminars and retreats around the country. Every so often I’ll reread the book just to remind myself of what’s important.—why I’m here. This book has sold over 100,000 copies and has been translated into something like 13 foreign languages. It is a culmination of years of biblical and extra-biblical research, as well as the result of years of meeting with men in small groups. Prior to When Good Men are Tempted I published a book with Harvest House called, Fatal Attractions. One chapter in that book was on sexual addictions. It seemed wherever I went that was the message that resonated with men. So I decided to expand it into a book. I approached Zondervan about the idea after I had already done a couple of other books with them—The Jouney, a bible with notes for the unchurched, and The Promise Keeper’s Men’s Study Bible. At the time there wasn’t a book on the market that addressed the issue of sexual purity from a Christian perspective. I was fortunate because the book was released about the time of Bill Clinton’s White House escapade with Monica Lewinsky. This resulted in over 150 radio interviews and scores of television interviews, including an appearance on the O’Reilly Factor. This pushed the book onto several best seller lists. In 2007 I updated the book. Initially, I thought I would change a few illustrations. But the book had been out for ten years and I ended up rewriting most of it. The current version is much better because I had ten more years of experience since initially writing it. I always point out to people that the cover of the book isn’t, “When Nice Guys are Tempted.” The book isn’t about nice guys. It’s about the new and good man that we become as followers of Christ. Purity flows from our true identity in Christ. I think the most significant insight in the book is the concept of the temptation cycle. This is a term I invented to replace the secular term: Addictive Cycle. I got the idea from James 1:13-15 where James describes the same process from trigger to sin that psychologists use to describe an addicts behavior. The key to freedom is to identify the triggers, or rituals, and remove them from our life. In the rewrite I interjected a lot of humor that makes some of the serious subjects easier to process. I also added some topics that I knew readers would need to find lasting victory. 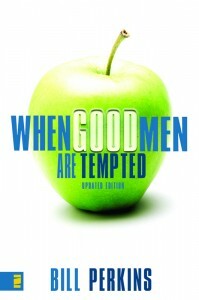 Youth specialist writer, Randy Southern, took When Good Men are Tempted, and rewrote it for teenage boys. He’s a hard hitting writer and did an excellent job putting the book into the vernacular of teens. Initially, his name wasn’t going to be on the cover but he did such a great job I wanted to be sure everyone who read the book would appreciate his efforts. I joke that if someone finds a part of the book they don’t like I tell them that’s the part Randy wrote. I believe it’s the best book on the market for teenage boys who want to be sexually pure. I’m confident it’s the most biblically grounded. 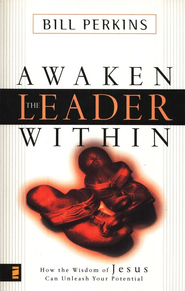 Vision and motivation to become the leader God intends you to be– whether you’re leading your family, church, coworkers, or a Fortune 500 company. You’re a leader! In fact, every time you try to get someone to do something you want done, you’re exercising leadership. This book will help you discover from Jesus how to lead more effectively as you understand the character traits and practical skills of a true leader. A discussion guide in the back of the book will help you integrate the principles into your life as you allow Jesus to help you learn how to cultivate and cast a vision, make wise decisions, build a team, harness opposing forces, facilitate innovation, and put others first. This was my first published book. At the time I was trying to come up with a book idea that a publisher would want to do something with. I had been coaching my kids in soccer and at the same time Dr. Rodney L. Cooper was on staff with me. Rod had taught me how to use the DISC Personality Profile. The profile is based on the idea that each person is one of four personality types—two kinds of extroverts and two kinds of introverts—Driver, Influencer, Steady or Compliant. Once someone knows their personality style, or that of their child, they can create an environment to bring out the best in themselves or their child. I applied some of these concepts to coaching and found it helped. When I wrote the book I used biblical characters to illustrate each unique personality and showed how they apply to us today. 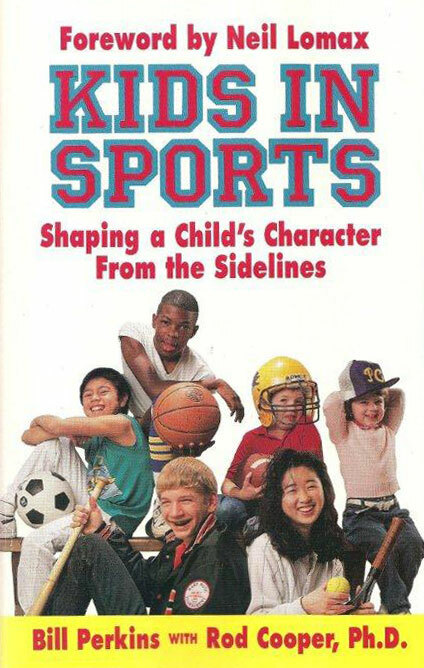 I was fortunate because one of the editors at Multnomah Press, Jane Aldrich, had a son who was a regional class tennis player and she had been looking for a book like this. When the book was released it initially captured quite a bit of press but then interest waned and so did sales. As an aside, the models who were supposed to show up for the cover shoot didn’t make and so the photographer rounded the children of some of Multnomah’s staff. Looking back I wish it had been titled either, Born to Win or Wired to Win. Either title would have better captured the message of the book which is that every child has been built by God to be good at something. Our job as parents, coaches and teacher is to know children well enough to bring out their best. I think the book is a great tool and over the years I’ve gotten great feedback from parents.